Muziki wa Kenya Rateng is a Luo word meaning black. The band derives its name and musical strength, as they say, from their fore fathers whose music they describe as rich and original. Rateng Band plays contemporary traditional Luo music transformed into an authentic acoustic sound. 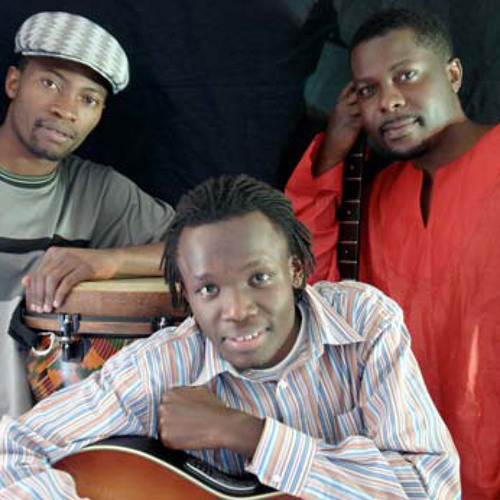 Rateng Band first came together in 2006; in the same year they received the BBC Radio Journalist of the Year Award 2006. Winyo is a lead singer/songwriter who plays acoustic guitar. He is also a professional photographer and a video producer. Isaac Gem is a music producer/songwriter, vocalist and renowned bass player, who has traveled around the world as former band leader for Destinee & various major Kenyan artists. Moses Njuguna is a versatile percussionist/drum player, whose wit and brilliance with African drums have got him to travel the world. Last year, he performed at the North Sea Jazz festival in the Netherlands. Merged together, Winyo’s soothing voice, Isaac’s sensuous warm alto and Moses’ calm steady baritone produce ***true, mellow harmonies that leave the audience with a real sweet feel of African music. Having formed the band a year ago, Rateng has made several public performances, each receiving a great deal of appreciation. Most of the fans acquired in this short period of time refer to the band as the true African band that has long been waited for. They performed for example at the Sharq Taronalari music festival in Uzbekistan and the Sawa Sawa Jazz festivals, along side Jazz maestro Hugh Masekhela and Ayub Ogada.